It’s been a busy summer full of photoshoots, weekends away and shifting stuff, so the Dacia hasnít stayed still for long. Itís a car that I liked from the outset with its keen pricing, generous equipment levels and spacious interior, as well as a cavernous boot. Itís at this point that it sounds like there is a ëbutí coming ñ but there isnít. As a no-frills car, the Logan isnít over-endowed with power, but the 1.5-litre engine has a useful 162lb ft of torque, and as a result it’s perky enough. A sixth gear wouldnít go amiss though; not because top gear is too short, but because an extra ratio between first and fifth would be handy. Get stuck in traffic at 45mph and fourth is a bit low, while fifth is that bit too high ñ itís the same lower down the speed scale, with the engine often seeming to labour, but changing down a gear results in the engine then sounding very busy. The gearchange itself is a bit vague, but itís not unpleasant ñ which pretty much sums up most of the Daciaís driving characteristics. The steering is fine, rather than enjoyable, but at least the ride is good; even on broken surfaces the Logan doesnít feel jarring. When the Logan first arrived, I thought it was pretty quiet, and compared with quite a few small family hatchbacks itís fine, but refinement definitely isnít a strong point, as I discovered on a 400-mile round trip with a friend. I normally travel alone and have some music on; if I have to turn it up a notch or two to overcome any background noise thatís no problem, but sometimes thatís not possible. On this long journey my friend and I were having to raise our voices more than we expected, just to be heard. Since then Iíve become more aware of the road noise, but Iím back to turning up the music by a notch or two, so itís not a big deal for me. 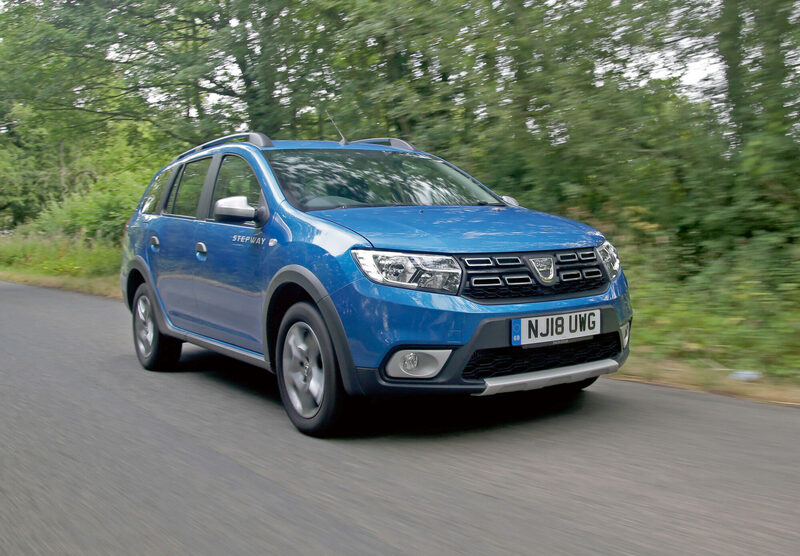 The vivid metallic blue paint looks really good on the Dacia. It’s a £495 option and worth the money, because the only colour available without paying this premium is white. The fuel gauge is frustratingly erratic. We can get 500 miles to a tank of diesel, but the gauge barely moves for miles, then it suddenly plummets as it nears empty.